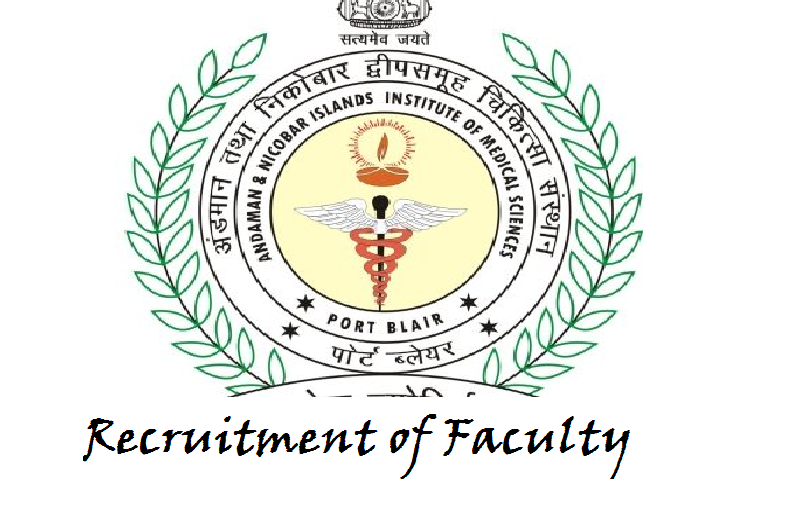 Recruitment in Faculty in Andaman and Nicobar Islands Institute of Medical Sciences (ANIIMS), 2017. Applications are invited from qualified citizens of India for the faculty in Medical Council of India permitted Medical College at Port Blair, Andaman and Nicobar Islands for the session 2017-18. Candidates should apply with complete bio-data, including all details of qualification, MCI recognized teaching experience, academic achievements, present post or designation, last emoluments, to reach the following Email Idhraniims@gmail.com and osdmc.ani@gmail.com latest by 30th September 2017. Post Graduate Degree qualification (MD/MS) in the corresponding subject recognized by the Medical Council of India.